Next story in Aging Will baby boomers live as long as expected? 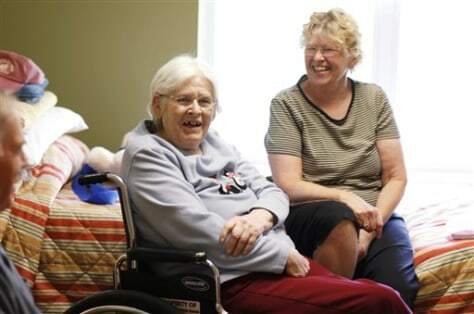 Hazel Eng, 89, who lives at the Ecumen nursing home in North Branch, Minn., shares a laugh with her daughter, Jane Lynch. As part of the facility's "Awakenings" program, Eng was taken off the powerful antipsychotics she was taking, and now beams as she ambles the hallways, reads the newspaper, tells stories and constantly laughs.